Mention Kells to anyone visiting Ireland and their thoughts move immediately to the Book of Kells, now housed at Trinity College in Dublin. The famous book is associated with Kells, a heritage town in County Meath, not the beautiful medieval priory we visited in County Kilkenny. We first ‘discovered’ Kells in 2005, having gotten lost on our way to Dublin. Our memories of this nearly ‘hidden’ site, its majestic space surrounded by quiet countryside, lured us back. At first glance you wouldn’t recognize this as an Augustine priory; the walls enclose an area of almost 3 acres and with the seven tower houses spaced along the walls it appears more like an enclosed village. Locally known as”the Seven Castles”, the priory is maintained by the Office of Public Works and is free to enter and explore. During our first visit much restoration was being done to the inner monastic buildings. In 2017 we found the scaffolding mostly gone and the grounds well maintained, introducing us to areas that had previously been hidden by overgrowth. The priory has an intriguing past. It was founded in 1193 by Geoffrey FitzRobert, brother-in-law to Strongbow. During its first 150 years the priory was attacked and burned three times- including a Palm Sunday attack in 1326 by the Scottish army of Edward Bruce. And in 1324 it saw an inquisition of heretics which led to Ireland’s first “witch” being burnt at the stake. Free parking is available at the top of the hill overlooking the priory and the river. 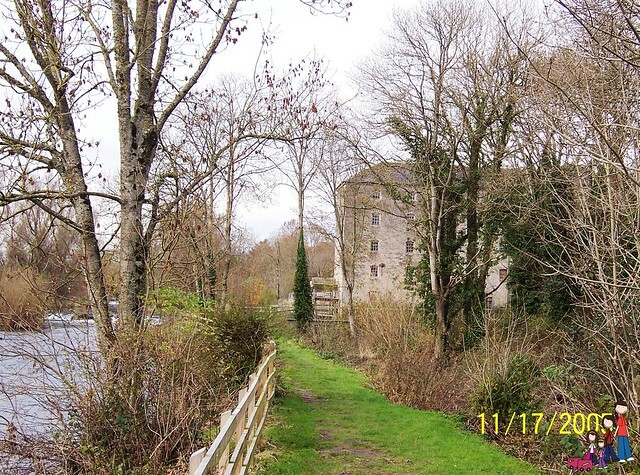 You can also access Kells Priory by parking on the other side of King’s RIver at Hutchinson’s Mill and follow the walkway. The mill was built around 1800, which makes it quite new in relation to the priory. It has two mill races, one still houses a water wheel. The King’s River is noted for its salmon fishing and hydro-power. This is a great look at Kells Priory which we have taken groups to on several trips and which serves as a site in my books: Papa and the Leprechaun King and The Shamrock Crown. It certainly offers the images which inspired me to use Kells Priory in my tales. Thank you so much for sharing your information, Arthur! I’ll have to check into those books! You shouldve gone to see the real Kells – in Meath! Jody, if you do get to Kells in Meath, a great place to stay for a low cost is Smiths in the center of the town. 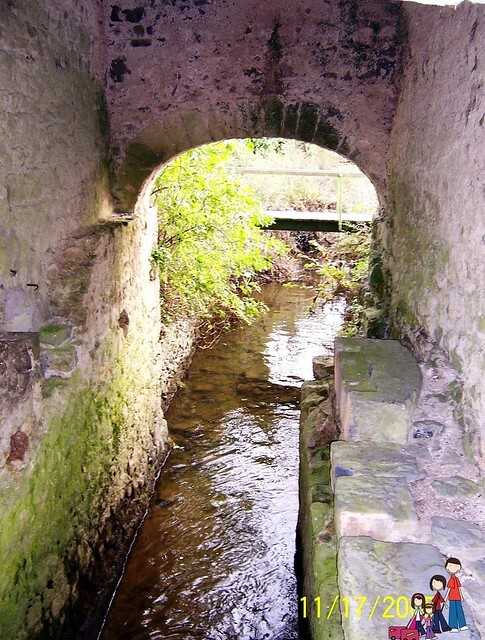 There are plenty of family activities in the area, see http://smiths-kells.com/guide-to-kells-meath.html and in particular the parts about Grove gardens and the Causey farm experience.